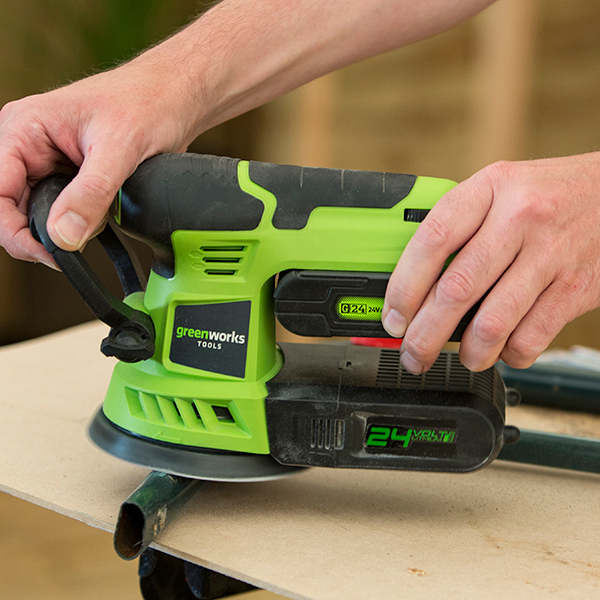 Enjoy full control and power with the Greenworks 24V Orbital Sander, designed to deliver quick, effective stock removal with a flawless, swirl-free finish. This durable sander tool provides ultra-efficient dust collection with a built-in system that uses the motion of the motor to draw dust, keeping your work space clean and clear. All dust is stored in the on-board box, with a handy vacuum attached for optimal extraction. For total convenience, the base is designed with a hook and loop, which allows you to swap over sanding sheets with no fuss whilst ensuring a secure fix. 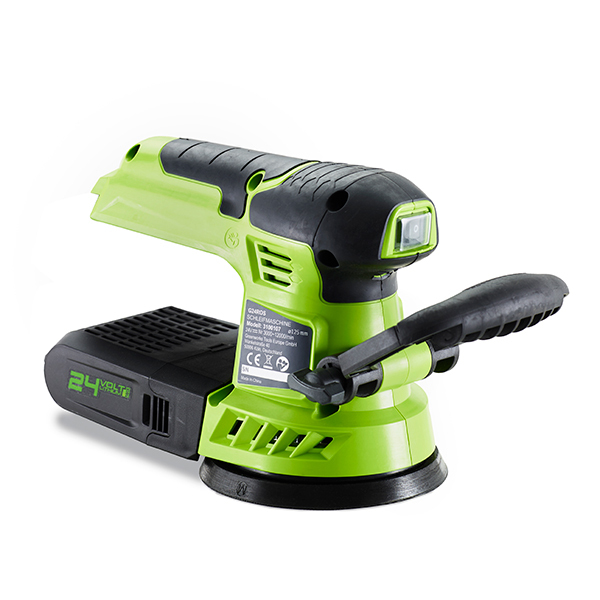 Make the most of your tool with Greenwork’s tough and durable 24V lithium battery (not included), providing fade-free power and impressive run times.